Fastajabna lahu wa najjayna hu minal ghammi, wa kadhalika nunjee almumineen. Alhamdulillah from the greatness of the Holy Quran and the greatness of what Allah (AJ) is dressing the reality of Sayyidina Muhammad (saw). From what Sayyidina Muhammad (pbuh) is granting to his Awliya Allah (saints) who are his (pbuh) representatives on earth and carrying his reality throughout time. There must always be a Muhammadan representative, for all the creation in this universe, representing the realities of prophet (saw). Awliya Allah of ummate (Nation of) Muhammad (saw) are the inheritors of the understandings of the prophets of bani Israel (Children of Israel). At every level of prophecy, Awliya Allah are inheriting from that level of understanding. Not inheriting the title because prophet is a gift from Allah (AJ) and that title can’t be understood. But from its level of knowledge and understanding, prophet (saw) is giving to Awliya Allah. That sets an understanding frame work for us that when we hear about the prophets of Allah (AJ), we know that Awliya Ullah of ummate Nabi (pbuh) have inherited that knowledge. Nobody can reach their ma’refa (reality) without first the ma’refa of Sayyidina Muhammad (saw). When each prophet comes to their understanding of themselves, but they cannot complete the reality of themselves and can’t go on their M’iraj (ascension) until the M’iraj of Sayyidina Muhammad (saw). There are people who are Noorani (luminous) but they don’t have the secrets. All the prophets didn’t have the secrets which show ‘Azamate Nabi (Greatness of Muhammad (saw)). Therefore, Allah (AJ) wants the prophets to come and get the secrets from Prophet Muhammad (saw). Therefore, throughout the Quran, you see the prophets asking for something more. For us in The holy month of light (Rajab), Sayyyidina Yunus (Jonah) is important. 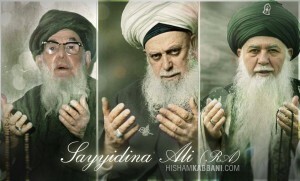 Sayyidina Yunus is given a community to deal with. It means the people were not adhering to that understanding and that teaching. The Nur (light) alone was not enough to reach to his people because he needed the light of Diya / Divine Fire (Source of power behind the light). Then Yunus (AS) became fed up with his nation and left them. Then the story is that he goes to a ship to leave town and immediately there is a storm. Then the ship captain says: there is somebody here that Allah is angry with and that is what causes this problem with the weather. We should throw him out of the ship to save the rest of us. Yunus (pbuh) recognizes himself as he knew that he had run away from the Divine’s order to guide that community. He jumps into the ocean of ma’refa (reality). There is wisdom here. It means that the knowledge that Yunus (AS) had at that point was not enough to convey what needed to be conveyed to the souls of the people, the unbelievers. The Noor (Light) that was emanating was not enough of a light to penetrate their realities. Sayyidina Yunus (Pbuh) knows that he must go back to the ocean of M’arefa (reality). Allah (AJ) describes that a whale came and took him in. In the ocean of realities are souls. The souls are like fish in the ocean of realities, based on the strength and what Allah (AJ) has given to them, some are like whales in that ocean of ma’refa (realityAs Nabi Musa (AS) wanted from Sayyidina Khidr (AS). Sayyidina Yunus (AS) was also known as Dhul Noon (two noons) which means two lights. Sayyidina Yunus (AS) realized that he needs two lights to guide his people. The first light was from his prophecy. He wanted the second light, from the essence of the soul which was the pearls under the guidance of Shah Naqshband. Therefore, that whale was to be dispatched to eat him, when he was thrown to the ocean of ma’arefa (reality). When Sayyidina Yunus (AS) came back to the land, he started his teaching and the people came to his reality. Yunus (AS) is teaching us to go to the Sir (Secret) of the ocean of reality, which are ‘Ilm al Y’aqeen, ‘Ayn il Yaqeen, wa Haq ul Y’aqeen. With the arrival of Sayyidina Muhammad (saw) in dunya (material world), he brought perfection to humanity. Before prophet (saw)’s arrival, people had to seek perfection. For example, when Nabi Musa (Moses) (AS) and Ibrahim (AS) wanted something they had to request and ask to go into the ocean Ma’arefa (reality) to get it. When khatim al Anbia (final prophet) (Muhammad (saw) came, he (saw) came with all the secrets. Therefore he is called Insaan e Kaamil (Perfect Human being). Other prophets came through the first Noon (ن) of Insaan, which represents Noor نُور (light).They had certain Noor (light) of prophecy but they didn’t have the light of perfection; the second Noon ن of Insaan Diya / Divine Fire (Source of light) نار. That’s because Prophet Muhammad (saw) was not yet on earth. Then in the Naqshbandia Tariqa Silsila (chain), Shaykh Tayfur Abu Yasid e Bistami (Q), wanted that same reality of Mawlana Shah Naqshand. He dove into the ocean of ma’refa, just like Sayyidina Yunus (AS) because they know that knowledge that you have is what people would be feeding from. If the knowledge is not strong enough, it means the power and ‘Izat (honor) of Allah (AJ) is not emanating strong enough. When Allah’s ‘Izat (honor) is emanating through your heart, the knowledge is bi-product of that energy. When that energy is not strong, Allah is Al Alim All Knowing ,Al Qadir All Powerful, (The All Knowing, The Capable All powerful); go back to that ocean of realities and achieve what you need of Allah’s Qudra (power). And that Qudra will emanate from Allah’s ancient knowledge (Ilm). Those ancient knowledge were in The ‘Ayn of Sayyidina ‘Umar, ‘Usman, and ‘Ali, they carry the secret of that ‘Ayn of ‘Alim (Knowledge) (their holy names start with ‘Ayn). 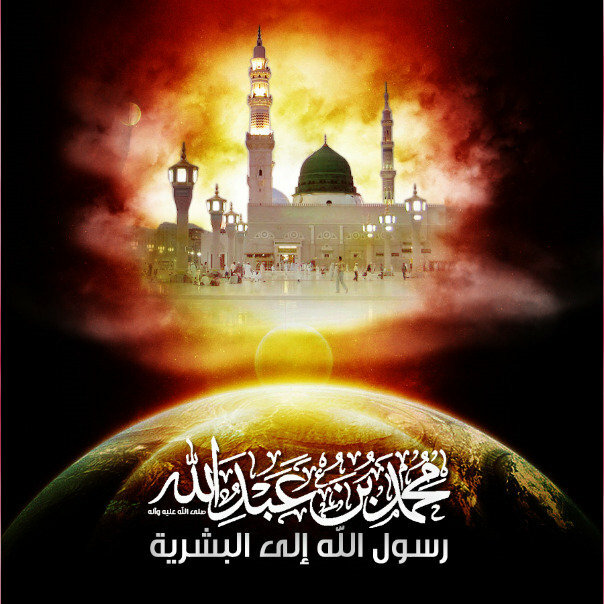 They are the custodian of these ancient knowledge and they hold it for the reality of Prophet Muhammad (saw). It means one has to dive back to that ocean to achieve more of that reality. That begins to teach that Sayyidina Yunus (AS) dove into that ocean to achieve these realities to open more the power of his soul. Mawlana Shah Naqshband is the whale of that reality to bring you into the presence of prophet (saw). Shaykh Abu Yasid Bistami went into that ocean and dove deeper and deeper into the ocean until he reached a point that he heard the zikr (chanting) of Hu. Then he saw Mawlana Shah Naqshband (Q) is making zikr over the pearls of souls. 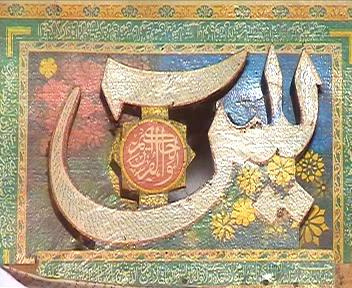 Shah Naqshband (Q) is the protector of the pearls of reality in the ocean of Ma’arefa. Lulu wal Marjan (Pearls and Corals) means the treasures of the ocean. In Surat ar Rahman, Allah (AJ) is not talking about the physical ocean. Allah doesn’t care about the physicality. He is talking and teaching us to dive into the ocean of reality. Only in diving to this ocean of realities, you can find the treasures, these pearls and corals. Shah Naqshband is the custodian of these pearls and Corals. The concept of the Pearl being most precious is that it’s hidden within the Oyster. It means that it is hidden reality and you have to crack the oyster open to take the pearl. It means you have to crack your reality; you have to deface and smash your physicality so that only your soul can dive in that ocean of reality. As you dive into that ocean and light, only by diving deeper and deeper you can reach that reality. Most precious reality is the reality of Hu. Reality of Allah (AJ) is reflecting to Sayyidina Muhammad (saw) and reality of Prophet (saw) is reflecting to the creation. Shah e Naqshband is dressing the pearls by zikr (chanting) of Hu. We are asking, Ya Rabi (Oh my lord), opens for us light and the reality of light. They are teaching us that what makes Prophet Muhammad (saw) and Awliya Allah (saints) to be Kaamil and to be perfected. Sultan ul Awliya is the Shaykh al Kaamil (Perfected Master); the completed shaykh of the realities. What makes them to be Kaamil (Perfected) is in the understanding of the letters of Insaan انسان (Human being). Everybody in the way of ma’refa (reality) wants to reach the Alif (A, the last Alif) in Insaan, which represents ‘Izat ullah. It means everybody wants to reach ‘Izat Ullah (Allah’s Majestic Might and Honor). The only way to get to the power, is to reach Allah (AJ)’s ‘Izat عزت (honor). In holy Quran, Allah (AJ) says: My ‘Izat is ‘Izzat ullahi, wa lir Rasule hi, wal Mumineen. يَقُولُونَ لَئِن رَّجَعْنَا إِلَى الْمَدِينَةِ لَيُخْرِجَنَّ الْأَعَزُّ مِنْهَا الْأَذَلَّ وَلِلَّهِ الْعِزَّةُ وَلِرَسُولِهِ وَلِلْمُؤْمِنِينَ وَلَكِنَّ الْمُنَافِقِينَ لَا يَعْلَمُونَ. Allah (AJ) says, if you want to reach that Ìzat (honor); Obey Allah, Obey the Messenger, and those in authority. Then the Ulel Amr (those in authority) are holding the ‘Izate Mumineen. They carry the divinely power that is emanating from Sayyidina Muhammad (saw) and Prophet (saw) is emanating from Allah (AJ). All other Ummats (Communities), and many other Tariqas (Sufi Paths); they have Noor نُور (light) because they have the ‘Izate Mumineen (believers’ Honor) and they emanate a light. But having a light and being from the reality of light are completely different. Noor (Light) is like Sun bathing. You can go to the beach and sit and enjoy the Noor, but it doesn’t mean that you are from the source of that light. But there are souls that they are like Suns; that wherever they go, they tan and cook everyone from the light that is emanating from their souls. They are not merely reflecting and you look at one of them and say; oh this person mashallah is very Noorani نوراني (luminous). No, they are not only noorani (luminous) but they are a source of power; emanating and cooking and tanning everybody from their lights. The first Noon (ن) to the left of the word Insaan (Human being) is the noon closest to us in the way of Ma’arefa (reality). They begin to teach us that this first Noon (from the left) is dressed by that Alif ان, those are Mumineen (Believers). Mawlana Shaykh Hisham gave a Suhbat (association) last night (May 10, 2013) to give us an understanding for it; that “don’t think you are Mumin (believer) or Mukhles (sincere) because you pray.” If you ask some people; are you Mukhles? They say: yes, I am Mukhles because I do all my praying, and I do all my fasting; I do everything. You say yes, but that was ordered for you. Doing what you are ordered, has no big reward. You can’t approach Allah (AJ) and say grant me this because I prayed. Allah (AJ) would say: you were supposed to pray. This teach us that these Awliya Allah (Saints) have reached such a high spiritual stations, not because they pray and fast but, because Allah (AJ) recognized the reality within them; that they are exisit on this dunya for Serving Allah not for themselves. They live for the sake of that Alif (Izat Ullah) and they recognize that their whole existence is for the 2nd ن Noon (in Insaan). As a result they are Mukhles, which is far beyond praying and fasting. They live, eat, drink, and breathe; to be of service to Allah (AJ)’s creation. The highest of service is to serve Sayyidina Muhammad (saw) as Prophet (saw) is serving Allah (AJ). They begin to teach that the Noor نُور (light) that they gave is from the ocean of Wadood (love), from the Wow (W in Arabic) of Noor. They want you to understand that when you are talking about light, they are not giving you from the florescent light bulb. The light that is coming is from the ocean of Wadood (love). 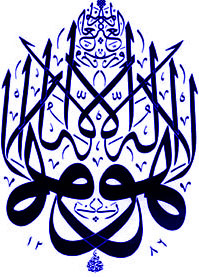 Wow of Wadood with Ahad (The Divinely Unique One; one of Allah’s names) becomes Wahid (The Unique one of Creation ); one of prophet Muhammad’s name). Ahad (The One) is La Sharika (without any partner). There is Nothing like Allah (AJ) but Allah (Aza wa Jal) reflects that love to Sayyidina Muhammad (saw). 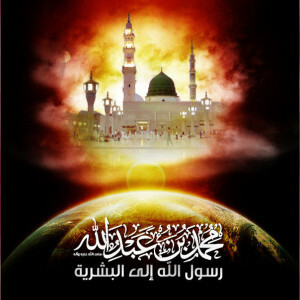 And all the Ashiqueen (lovers) of Prophet (saw) are emanating from the ocean of Love (wadood). Then they dress us with that WAW for love. Rabaniyun are those who give knowledge and receive knowledge. The pursuit of knowledge is their whole existence and they give that knowledge out. It means their lives are only for attaining Divinely Knowledge. As a result, they are dressed by Allah (AJ)’s Qurdra (power). These are Rabaniyun. The Noor نُور (light) that they are giving, it means they are giving their Noor (light); it is made from the ocean of Wadood (love). They are dressing everybody to be Rabaniyun. Those Rabaniyun begin to teach you to leave your desires and leave all of the things that are attaching to the heart. 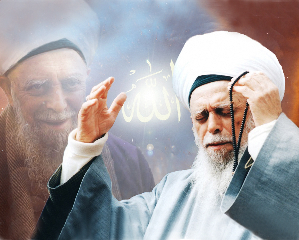 Like Mawlana Shaykh Hisham says: “You can’t completely walk away from Dunya (material world) but you can do it without any attachment to the heart.” And your heart is attached to the love of Prophet (saw), love of Sayyidina Isa (Jesus) (AS), love of Nabi Musa (Moses) (AS), love of divine reality. You do what you do for the sake of serving prophet (saw). When the heart is no longer attached to Dunya (Material world), it begins to attach to them; begins to attach to the reality. And they give food in spite of love for it to the needy, the orphan, and the captive. They feed you from their food and they love their food. It’s not something that they give away because it’s cheap or rotten. They love their food. But they give it to the Miskeen (poor), Yateem (orphan), and Aseer (captive). It means there are three categories of who we are to eat with them. It is not just the physical food, but the spiritual food. It’s not just physical food. It means whatever prophet (saw) is dressing their souls, they are merely reflecting it out. If you accompany a Qutub (The second level after King of Saints), you will be dressed by the characteristics of that Qutub. If you are dressed by Nujaba, Nuqaba, Awtad, wal Akhyar, any of these categories of their sainthood; they dress you from the lights of their sainthood. That’s because Allah (AJ) is merely teaching them to reflect out, not to be held in. As much as they receive, that much they are reflecting. They begin to teach, now come to that ocean and understand what makes Insaan (Human Being) so noble. That all the prophets realized their lights are not enough; they are merely Mumin, Mukhles. Here is what Prophet (saw) said, yes the Mukhles of my Ummat (Community) inherited from the stations of all the Prophets of Bani Israel (Children of Israel. Al ‘Ulama warithat ul anbiya. The scholars are the inheritors of the prophets. What did the prophets of Bani Israel (Children of Israel) (AS) wanted was the reality. Who did they need to reach that reality? They needed Muhammadan representative because Prophet (saw) was not yet physically in dunya (material world). He had not yet made his M`iraj (Asencsion). It means he (saw) didn’t complete what he needed to complete. Then everybody after that completes their M’iraj. Prophet (saw) goes first. The secret is the Sir (secret). Oceans of the secret, oceans of the soul is the secret of Muhammad (saw). They dress you from that ن Noor, to take you to that secret, the Sir س. They ask what is the Sir? The Sir is the secret. That Sir (secret) could only be understood with ‘Ilme Y’aqeen (Knowledge of Certainty), ‘Ayne Y’aqeen (Vision of Certainty), and Haq ul Y’aqeen (Truth of Certainty). These secrets only opens through obedience. It’s from the Knowledge of certainty. It means from these divinely knowledge begins to dress the soul. If that knowledge is dressing the soul and that soul is in itebah إتباع (obedience). If the soul is not in obedience, it’s not accepting the knowledge. They understand that when we are not obedient, we are not interested in listening, we are not interested in following; then the ‘Ilm (knowledge) has not reached its Y’aqeen (certainty). It’s not certain because you are saying to yourself, “I don’t really believe what you are saying and therefore I am not following. If I am not following then that knowledge is in no way certain. 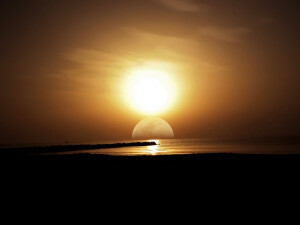 If that knowledge is not of certainty, then there is no way that the ‘Ayne Y’aqeen (Vision of certainty) is open. Then itebah إتباع (obedience) is that knowledge with certainty of saying that “I believe in it and I follow”. As you follow with belief, they begin to open your heart to see because they are transmitting that signal. We are not talking about the Sultan ul Awliya (Mawlana Shaykh Nazim al Haqqani), he is far beyond this. We are talking about the transmitters (the ones who have the Noor (light) of the first Noon ن). The transmitters are transmitting that reality, so that you can get to the secret. When you get to the secret, ‘Ilm e Y’aqeen (Knowledge of certainty), you need to ask yourself “are you believing the knowledge that they convey and are you following and acting on them?” If you are following and moving on them, then you should begin with the heart opening with ‘Ayn e Y’aqeen (Vision of certainty). It means your belief is so strong that you witness it. It’s not you that opened anything. They opened it and they can close it in an instant. But the light and emanation of that ‘Izat (honor) is dressing; hits the heart and begins to unveil the heart, so it can see. If they can hear with certainty, they begin to see with certainty. If they hear and see with certainty, they are now in Haq al Y’aqeen (Truth of Certainty). That’s because everything that you witness through your heart is a brick of Haq (truth). Brick of Haq on brick of Haq, until there are so many bricks of Haq that your faith is certain. Like you know your hand, you know your belief. That certainty opens that reality. Then they are teaching, these are the Shaykhs who are teaching the M’arefa (reality) of the self; that once they have been dressed by that secret, they carry that secret. As a result, they are taken to this Noon ن (2nd Noon) of Sayyidina Muhammad (saw). That Noon ن (2nd Noon) of Sayyidina Muhammad (saw), opens the reality of the Diya / Divine Fire (Source of light) نار. What makes the Diya / Divine Fire (fire) نار higher than the Noor (light) is that the Diya / Divine Fire (Source of light) نارcarries the ‘Izat (honor) because the Alif (A) is there. To have Noor نُور (light) you must have Diya / Divine Fire (Source of light) نار. There must be a fire for you to enjoy the light. We live and all our lives are based on the Sun. If there is no Sun, there is no breath. You can’t breathe because the plants would not produce Oxygen. If there is no Sun, you can’t eat and you can’t see. 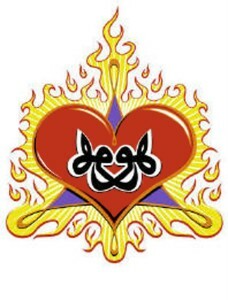 It means our existence is based on that Diya / Divine Fire (Fire) نار. 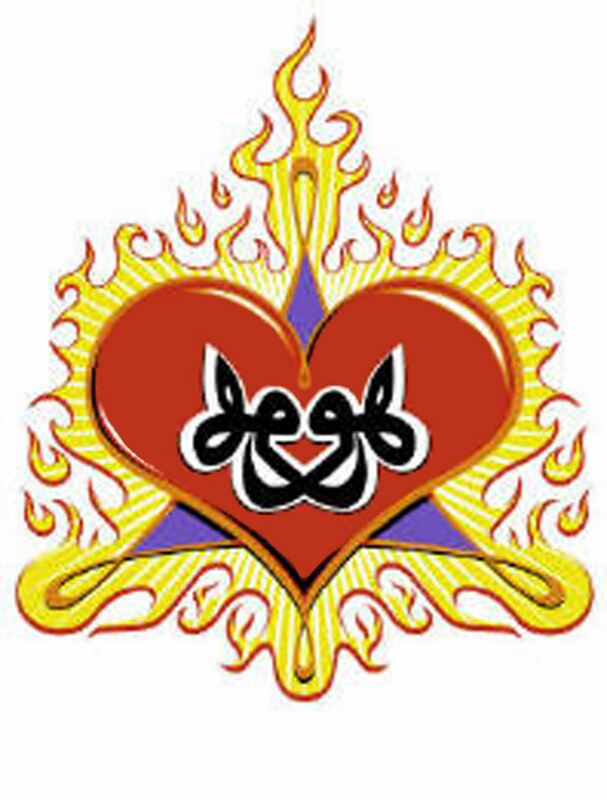 Then the Diya / Divine Fire نار is a Source of fire. It burns and it consumes and as it consumes and burns; with its burning which is so intense, it produces light. You cannot have that Noor (light) (First Noon ن) without the Diya / Divine Fire (Source of Fire) نار(Second Noon ن). Otherwise you are merely a reflection. Then Prophet (saw) is teaching that when I take you towards Kaamil (Perfection) to be perfected; I open within your heart to be a source of light. To be a source like a Sun, that you are moving on this dunya (world) with that energy and that power emanating in your heart. Therefore, the second Noon ن is different from the first Noon ن. Sayyidina Yunus (Jonah) (AS) had this Noon ن (light) and that Noon ن wasn’t enough to reach his people; so he became Thal noon ذاٱلنون (Of the Noon). He jumped into the ocean of Ma’arefa (reality) dressed from the Muhammadan realities. Then Allah (AJ) said to him that now you are from Dhul noon (two Noons) and you have been dressed by that reality. Tariqa (Sufi Path) comes and teaching that Allahmadullelah, you are from the Naqshbandia tul ‘Aaliya. This is from the reality of the Naqshbandi Shaykhs. Mawlana Shah Naqshband is teaching that come to our way, come in to that M’arefa, come in to that Secret and we will dress you from that Fire. 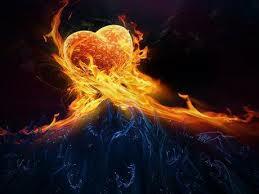 Your heart will be like a lit Sun and you will be the Source of Light. 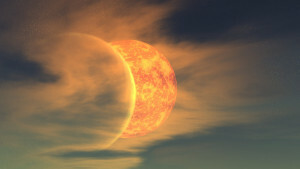 When you look at Sun, you think it is a self containing power because of what? The fusion. It is fusing together with Allah (AJ). This is the reality of “Quab e Qawsaini aw Adna”. 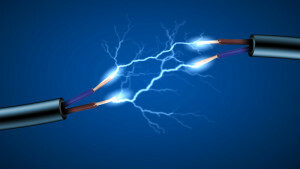 Powerful Energies merely approach and set off a Reaction no need to touch. approaches; it begins to produce energy. That is eternal energy and never diminishes because what Allah (AJ) gives can never be diminished. They are teaching us that when we are dressed by that Sir (Secret) of Seen, then they take us to that Second Noon ن , to be a Source of Light Diya / Divine Fireنار. At that time you are in the presence of the Alif (Last Alif from left of Insaan ان س ان). They take you all the way to the Presence of that Alif and that is ‘Izat ullah (Allah’s honor). The hidden Alif in the Diya / Divine Fireنار is the ‘Izat ir Rasul and ‘Izat il Mumineen is the first Alif from the left. Atee’o Allaha wa atee or Rasola wa Ulel amre minkum is also in the word of Insaan. The first Alif of Insaan (from right of the word Insaan), is Ateeo Allah which is the holy month of Rajab (Allah’s month). The second Alif is hidden in the Diya / Divine Fire of second Noon and that means Atee’or Rasul which is the holy month of Sh’aban. The third Alif which sometimes it’s written as Fatha in Arabic, is the Ulel Amre Minkum, which is the month of Ramadan. Then follow Ulel Amr (those in authority), and Husn ur Rafiqa حسن ورفيقه (followers of the Ulel Amr). Then when you sit in Laila tul Qadr (Night of Power) . 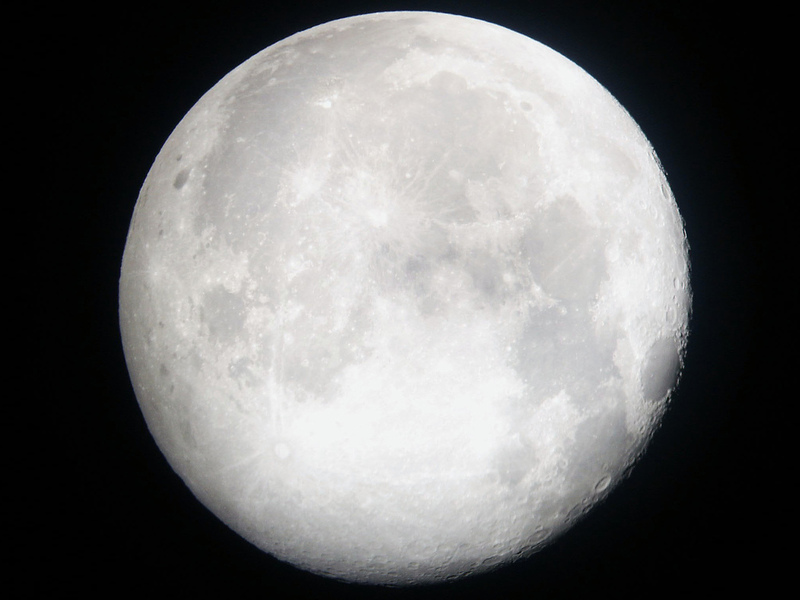 The light described for that night of power is from these realities of Rajab and Sha’ban. From barakat (blessings) of Tariqa (Sufi path), Awliya (saints) are always dressed by these realities of Laila tul Qadr. The only way to get to ‘Izat ullah (Allah’s honor), is through prophet Muhammad (pbuh)’s M’iraj (Night of Ascension), which is in 27th of Rajab; 7th month of Islamic Hijri calendar. Wherever Prophet (pbuh) is moving in his M’iraj (Ascension), he is dressing us with it. 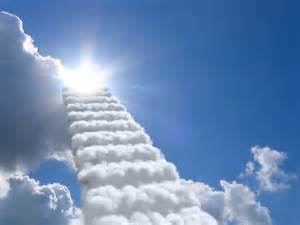 He (pbuh) pierces to go up to heavens and beyond and what rains as a result are the blessings upon our souls. Therefore, his (pbuh) prescription for us is to fast and wait; these realities will rain upon you. In Surat Al Qadr (chapter 97, verse 3 of Holy Quran) Allah (AJ) says “Tanzil al malaaikatu wa roh” . This tanzil (descent) is raining whatever Prophet (saw) pierced in his M’iraj in Rajab. It rains upon us and perfects our soul in Laila tul Qadr (Night of Power; 27th of Ramadan, 9th month of Hijri calendar)). Allah (AJ) says if you can reach that reality and we dress you from that secret and that light; you have been dressed by the best of gifts. Allah (AJ) says: Laila tul Qadri khairun min Alif e Shahr (Quran 97:3). Therefore, Allah (AJ) says if you get the blessings of Laila tul Qadr (Night of Power), it is a life time achievement. That is because the blessings of 1000 months promised in the Surat al Qadr (chapter 97:3) equals to 83 years. It means it’s better than your entire life time, if you can achieve that light. Why Allah says 1000 months? That is because you get light of holy Quran which is from ‘Izat ullah (Allah’s honor). That’s We pray that Allah (AJ) open these lights and realities for us. All of these holy nights, Mawlana Shaykh is teaching for us to safe guard and to cherish; is merely to be dressed by them. If you don’t feel anything, it doesn’t matter. What is important is to sit and wait and to copy their way. To be dressed and dressed and dressed until the dress is enough on the soul that the eye of the heart and the eye of soul can begin to move. It has its Qudrat (Power) and it has its cleanliness of which the eye of the heart opens and begins to witness their holy face. And from their Face, it begins to witness their holy Presence, and from there it’s like a spark into the Divine Essence. ‘Izat Allah, and in Sh’aban (8th month of Hijri) from the ‘Izat ir Rasuli and in Ramadan (9th month of Hijri) from ‘Izat ul Mumineen. To be dressed by these lights and blessings.